McKenna (Plasterers) Ltd are installers of external wall render systems for new build, renders for building refurbishment and renovations. 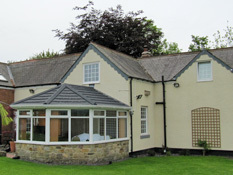 Based in the North East of England we work on building projects locally from County Durham, Tyne & Wear, Northumberland, North Yorkshire, the Sottish Borders and throughout the United Kingdom. 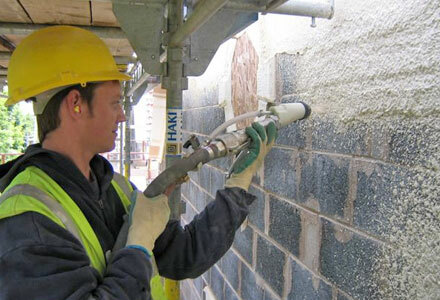 We are approved applicators for all external render related Parex and Weber products. 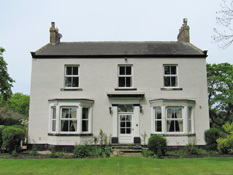 Established in 1968, McKenna (Plasterers) Limited has a dedicated and experienced team with skills and knowledge relating to external render systems, plastering and screeding, built up over 46 years. 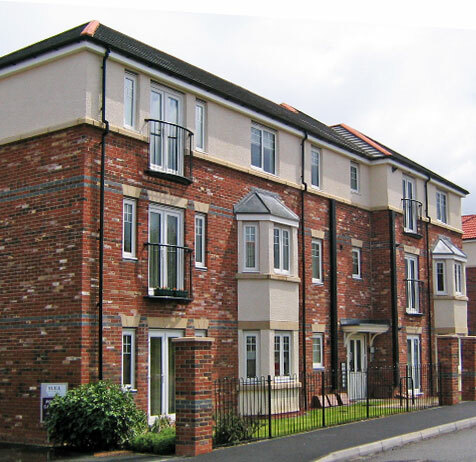 We are a growing business with the capabilities to take on external render work for commercial building contracts along with social housing and domestic housing projects of all sizes. We have specific experience of work with Render products from Parex - a comprehensive and technically proven range of render systems, and Weber - the world's leading industrial mortar manufacturer. Our work is undertaken in partnership with leading regional and national, building, housing development and construction firms. Clients include: Barratt Homes, Bellway Homes Ltd., Darlington Borough Council, Derwentside Homes Ltd., Miller Homes Ltd., Taylor Wimpey and others. McKenna (Plasterers) Ltd. have been awarded a SMAS Worksafe Contractor Membership Certificate, a CHAS Certificate of Accreditation and all operatives are CSCS compliant. 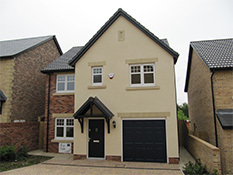 Persimmon Homes (Teesside) Ltd. have had a successful working relationship with McKenna (Plasterers) Ltd. for more than ten years, during which they have offered competent pre-specification advice, a priceless aftersales service and all whilst delivering a consistent quality of workmanship across numerous developments of varying sizes. As a subcontractor who has proven capable of working safely and efficiently to site programmes, combined with invaluable experience, honesty and integrity I would recommend their services to any potential client. I look forward to the continuation of our excellent relationship between our two companies, for many years ahead. We are delighted with the render, exactly the same colour and texture. Thank goodness we found your details. Please pass on my thanks to your team of workers. Just wanted to say that we are delighted with the job. I was particularly impressed with how they masked the windows, doors, eaves and any where which might have got plaster on it. Even the cardboard put down on the ground around the house was a lovely touch. They cleaned up after themselves after every shift and the end of the job clean up was excellent. The render and the finish is great. Just casting an eye down the side of one of the gables shows it's flat and straight. I just couldn't fault any of it. I would not hesitate to recommend you to anyone else. 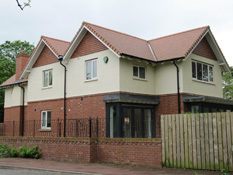 Weber Recommended Contractor McKenna (Plasterers) Ltd have an extensive history in the application of Monocouche Renders and have demonstrated a consistent high level of proficiency across a 25 year period as a Weber Recommended Contractor. We are happy to nominate your services to clients and specifiers in the relevant field of specialist activity Weber Render Systems.